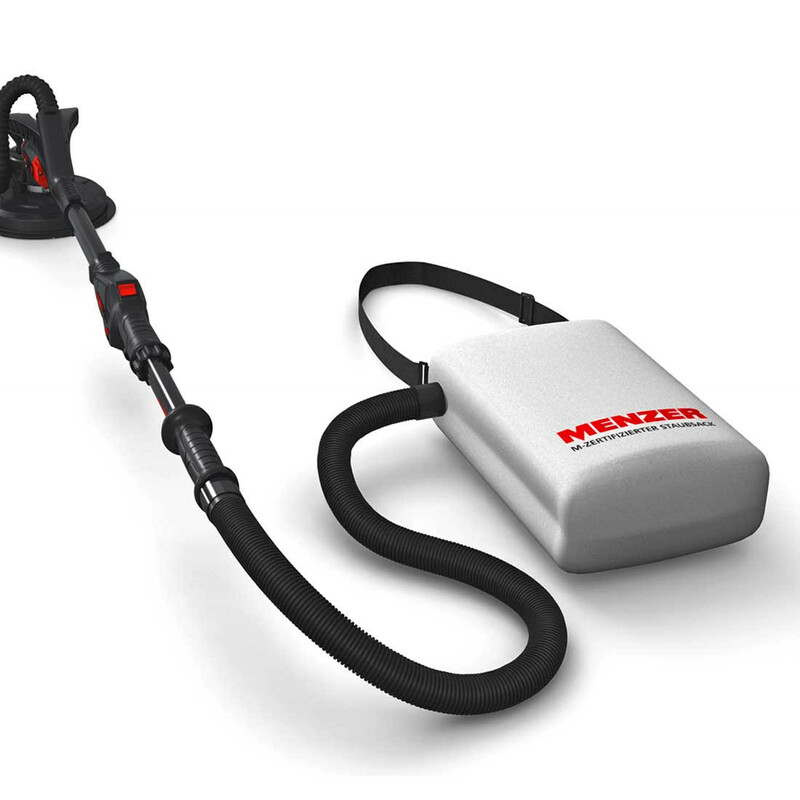 The MENZER LHS 225 VARIO AV is a drywall sander with a variable work length and an innovative integrated dust extraction unit. It was developed specifically for use on dry wall tasks and renovation projects. 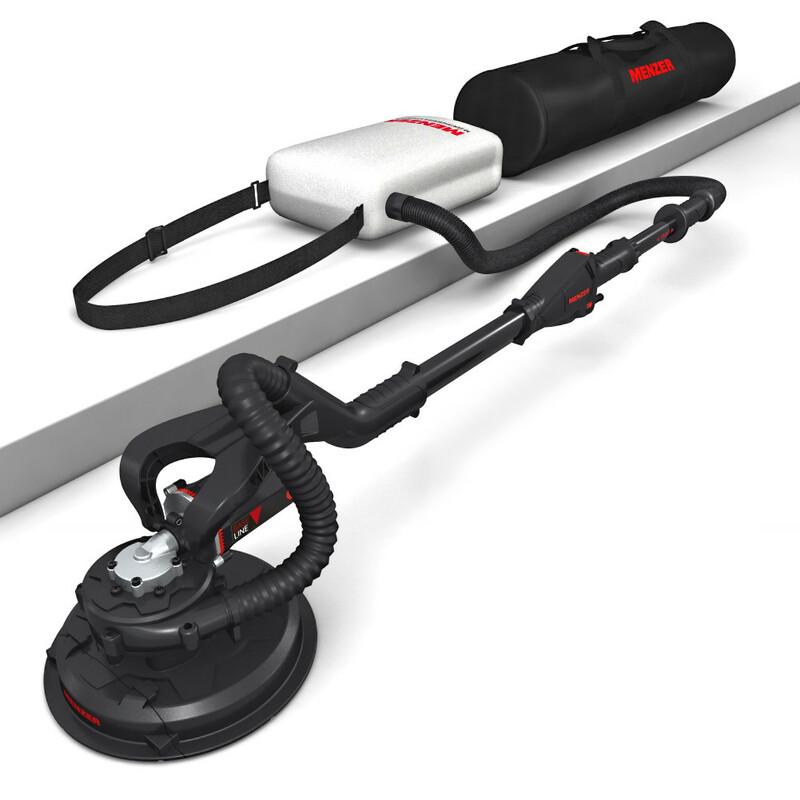 With the ingenious MENZER AV Technology, walls and ceilings can be efficiently sanded without the need to connect an industrial vacuum cleaner to prevent dust pollution. 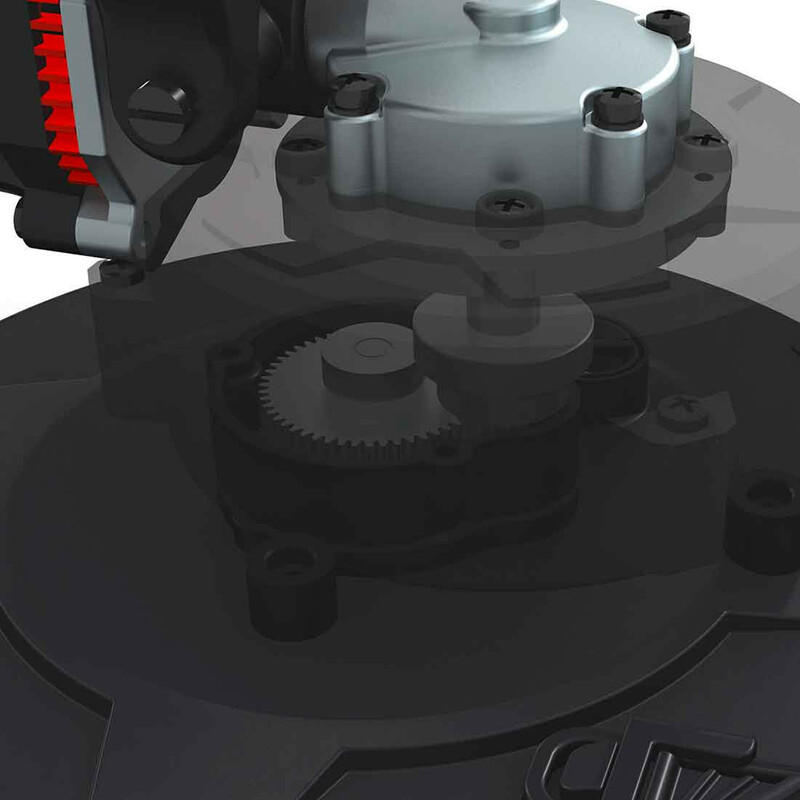 The dust is blown directly into the dust class M-certified extraction kit by a turbine located on the driving disc. 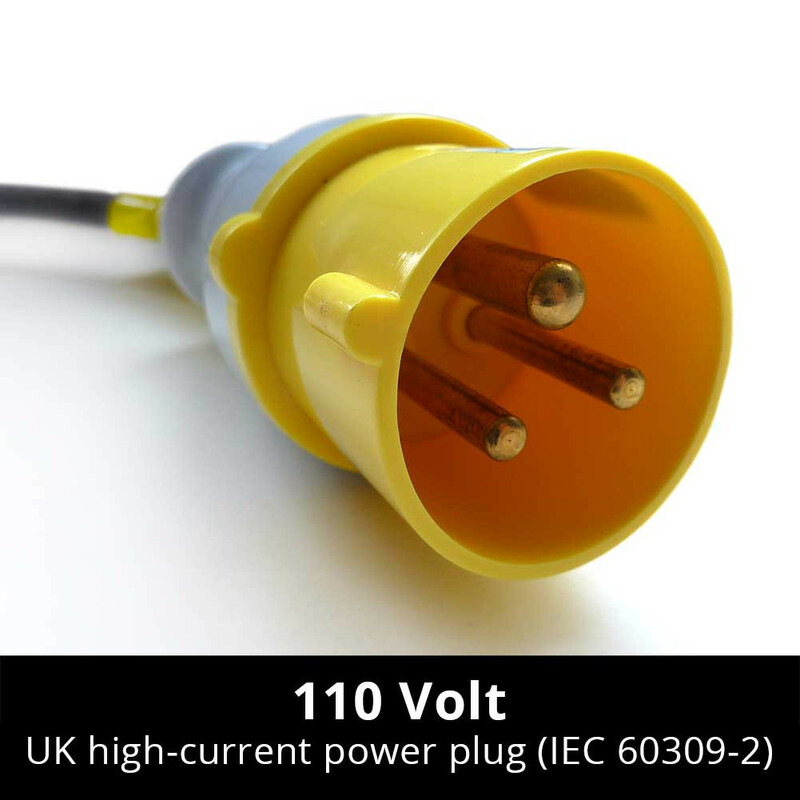 The extracted air is filtered to the highest technical standards ensuring a safe and dust free working environment. 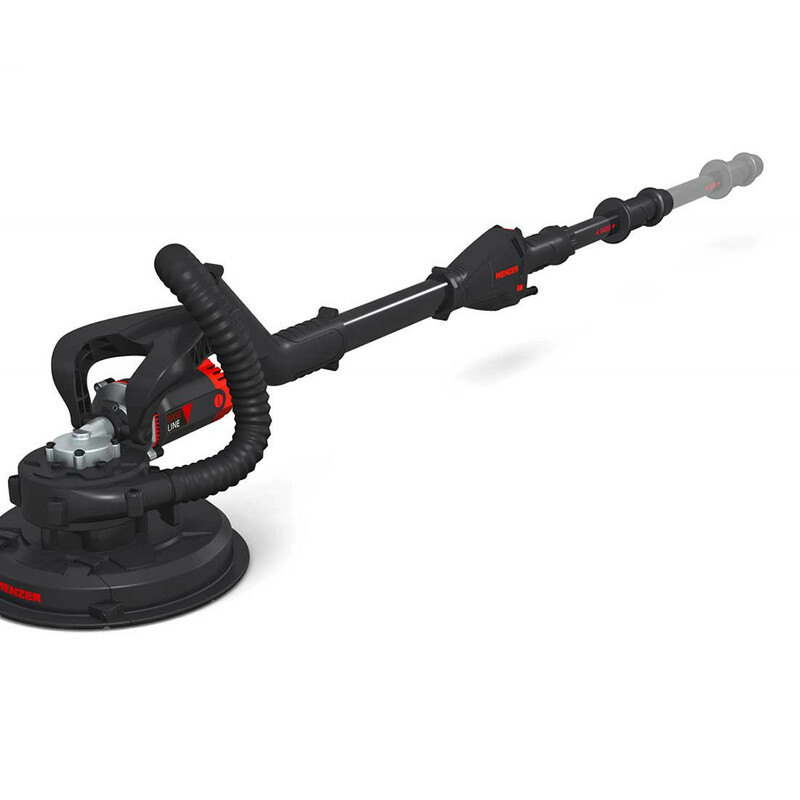 The MENZER LHS 225 VARIO AV features a flexible work length between 1550 mm and 1950 mm. 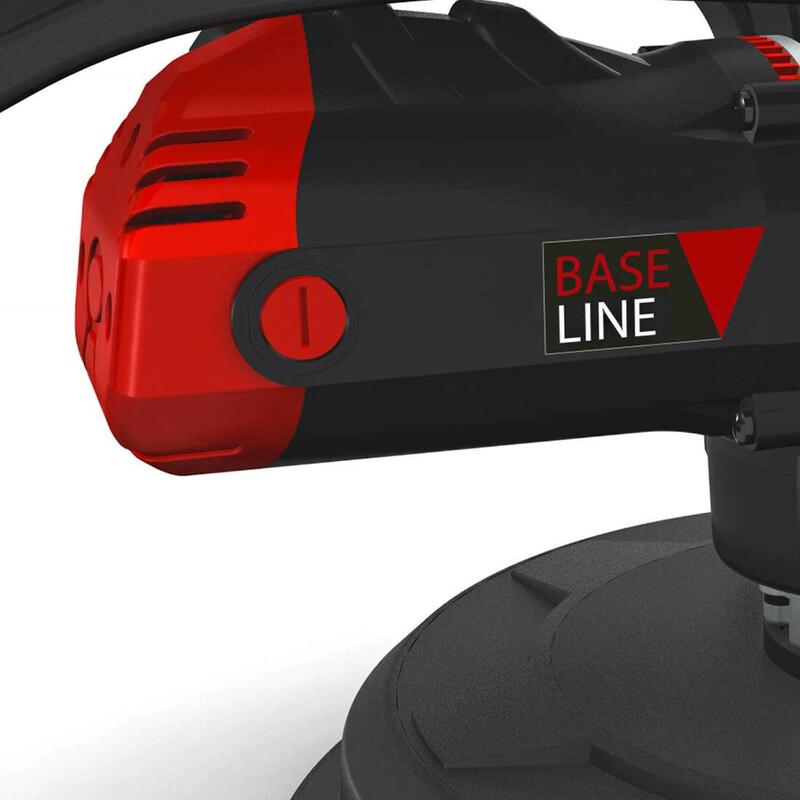 This flexibility makes the sander a very versatile tool for ceilings and walls. 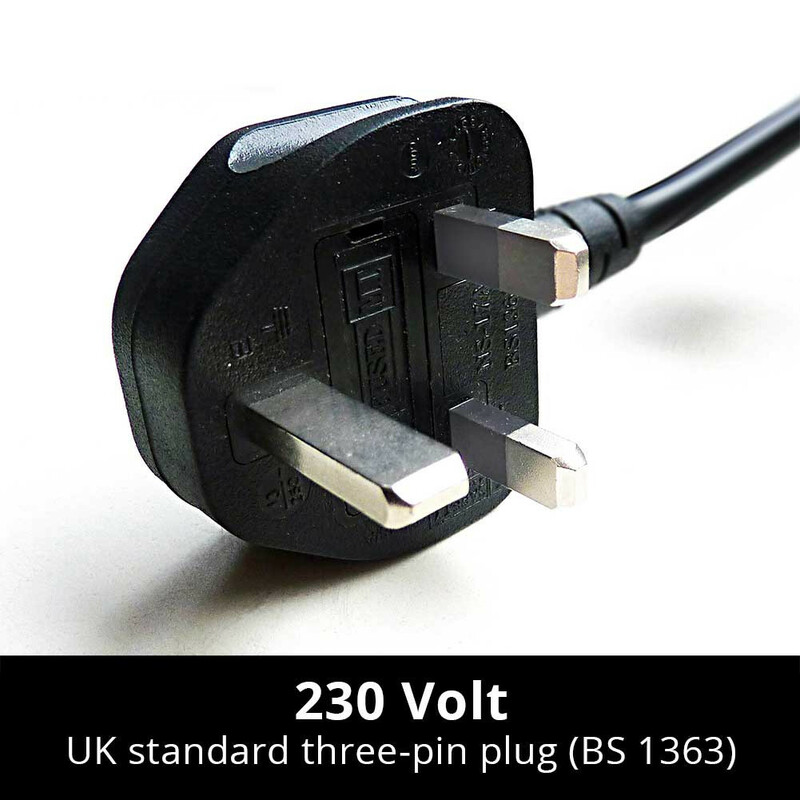 Additionally, the cup wheel tip is removable, which means hard to reach areas on walls and ceilings are no longer a problem. The drywall sander weighs 4.7 kg. 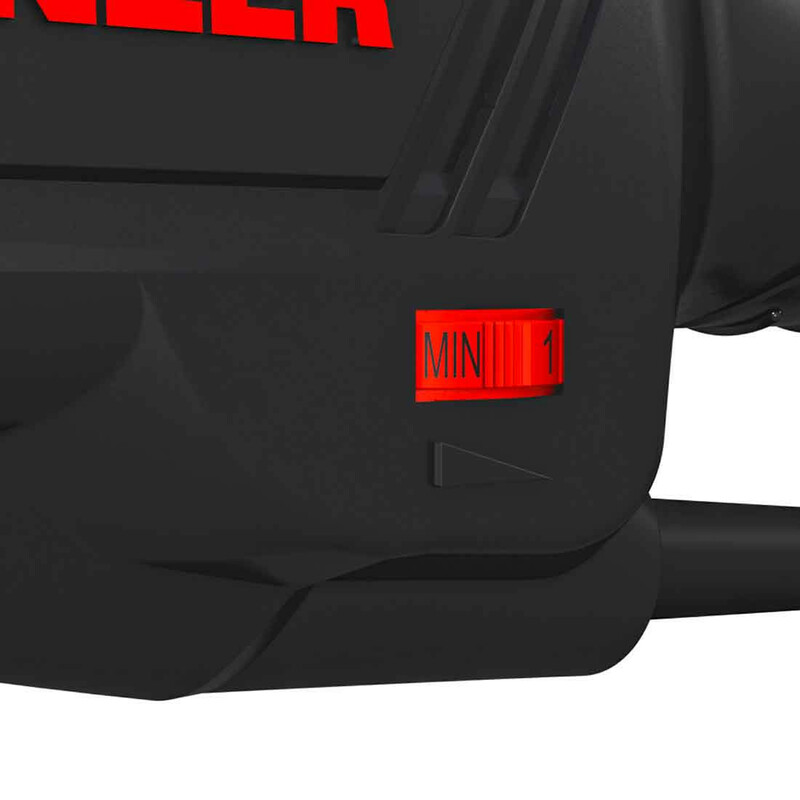 It is powered by a stepless adjustable 710 W motor. 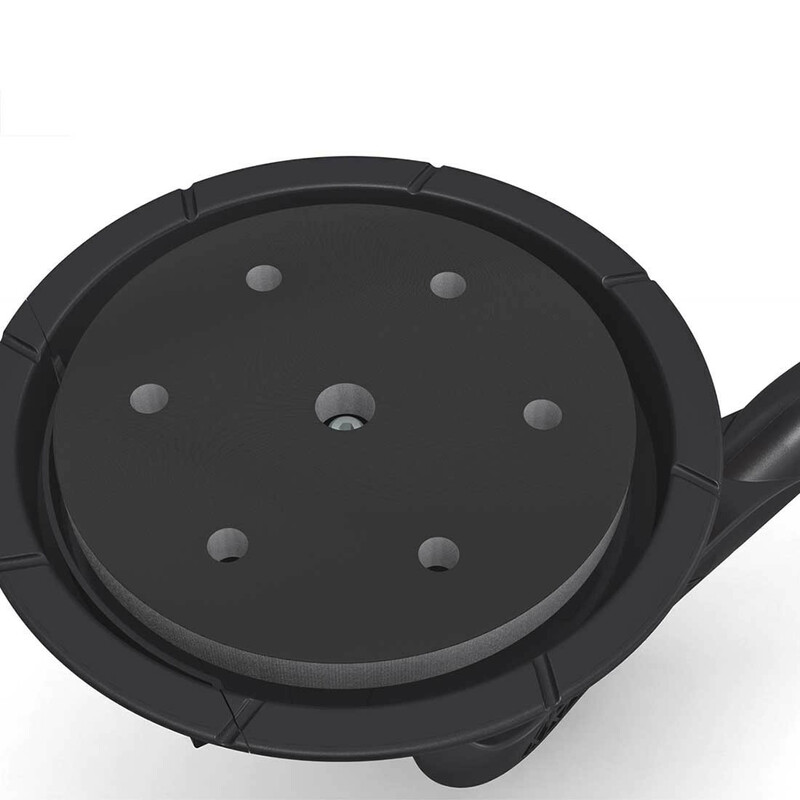 While other drywall sanders have a drive shaft to power the driving disc, the motor of the LHS 225 AV is positioned directly on the driving disc, ensuring extra wear-resistantance and low maintenance. 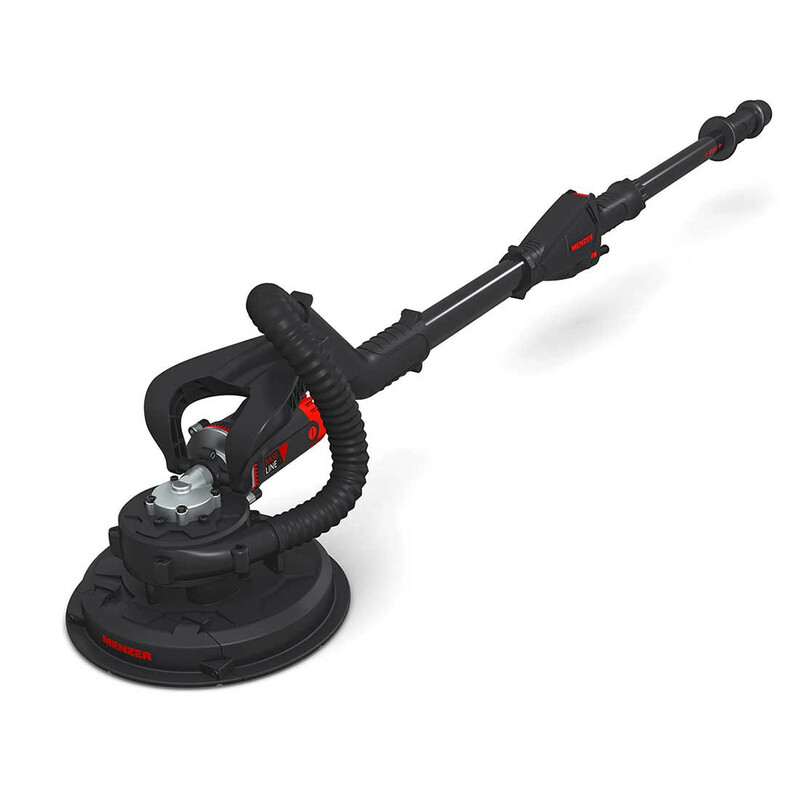 Every MENZER LHS 225 VARIO AV is delivered complete with a carry bag, an additional handle and an extraction kit. 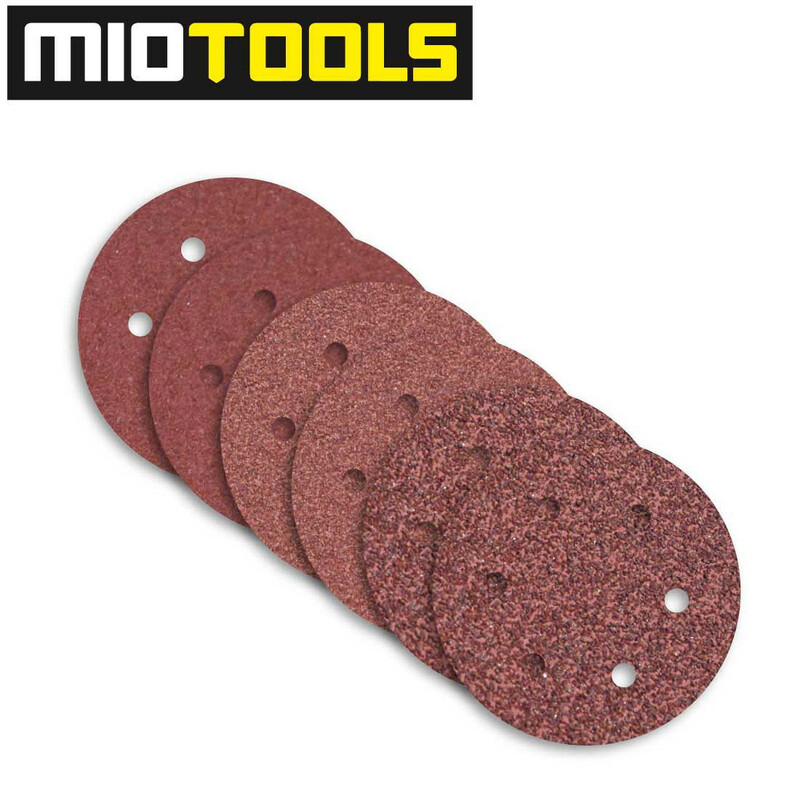 Purchase online at MioTools and you will receive a free basic set of abrasives as part of the deal, so you can get right to work.